Some big news for all the Cutie Mark Crew Fans out there! The second series of the blind bags have been spotted in stores. In a store called "Bilka" to be exact which is a Danish chain of hypermarkets. Ossie and I actually visited one last year when we visited Denmark for one day. 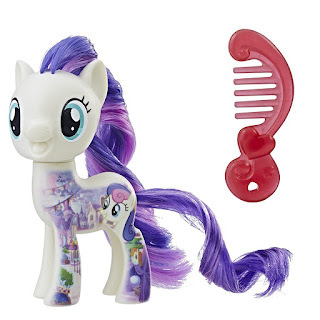 The second wave of the All About Brushables has made it's way to Amazon, included in this wave are Applejack, Lyra Heartstrings, Rarity, Soarin, Sweetie Drops and Twilight Sparkle. In addition to the second wave of the All About Brushables, all three Seapony Cuddle Plush are also now finally listed. We already spotted Twilight Before, but Pinkie Pie and Rainbow Dash have now joined her. None of them are available at the moment but as always we'll keep you notified. Have all the listings below. Lots of new Brushables have been spotted on Taobao! At first we have a better look at some of the All About Brushables for the movie, but some other interesting news is that three new brushables have been spotted as well. The first one is a Princess Celestia with Tinsel Hair and painted accessories like her necklace. Her hooves are also covered in glitter. 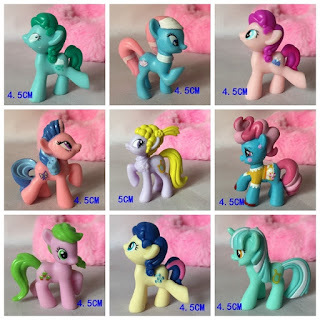 The next two are perhaps even more interesting since Maud Pie and Coco Pommel join the new molds. Currently their release is unknown but we still have to see if Toys'R'Us and Target will be getting special releases. (we also still have that Songbird Serenade Brushable) With the SDCC coming up soon I think we'll here more info later. 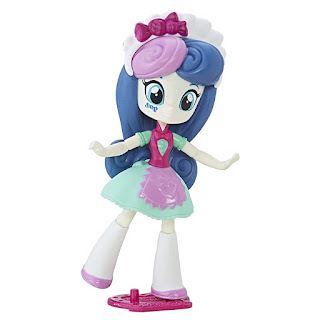 After eBay UK and Toys"R"Us Singapore, the latest EqG Minis series is now available on Amazon. The Mall Series singles all marked as "In Stock", so there's no limited stock at the moment. This first wave of singles features Trixie, Derpy/Muffins, Sweetie Drops, Rainbow Dash, Twilight Sparkle and Roseluck. Yep, that means no Lyra to accompany Sweetie Drops / Bon Bon this time, but who knows what the following waves will feature! 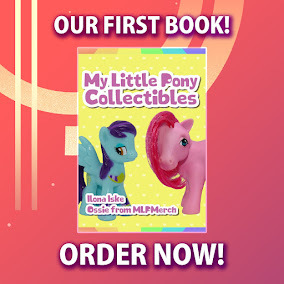 It's been well over 2 months since we first saw official images on Amazon about the EqG Minis Mall Series figures, and now it's finally time for the first sets to be available. The first wave of single characters features Trixie, Derpy/Muffins, Sweetie Drops, Rainbow Dash, Twilight Sparkle and Roseluck and every character comes with their own piece of headgear and base. Currently the only known listing where they're available is over on eBay UK, but a wider release is bound to happen really soon. The seller is US-based, so it's unsure in which country the Minis have arrived first, but keep an eye out for stores to get these in stock, wherever you live. Thanks to Chloe for the heads-up! 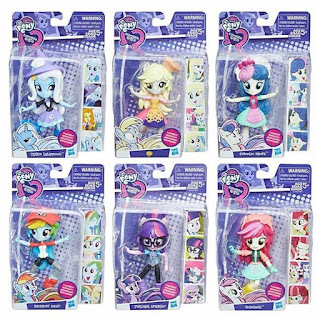 The first batch of the new Equestria Girls Minis we saw during the NY Yoy Fair this year has appeared on Amazon and several other websites. The theme for this line will be the mall with some of the characters having shops. 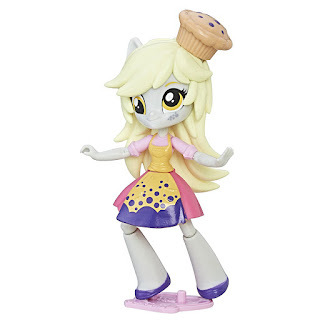 Amazon has listed the Mall Collection Singles which includes a lot of new characters as well like Derpy/Muffins, Trixie and Roseluck and more. We have waited for quite some years but our wishes have bee granted. 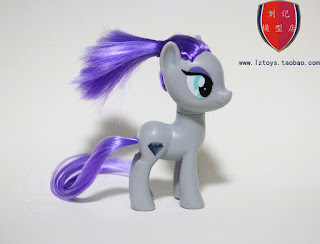 Lots of people have wanted Boy Ponies with normal brushable hair for quite some time and now during the New York Toy Fair This year two BOY brushables have been revealed. And as expected we get one for two of the most popular colts on the show: Big Mac and Soarin. 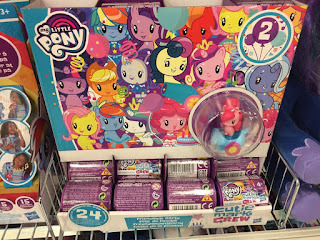 We can also see the whole line-up for the "All-About" line which included the ponies with some decals based around the show. We hope we can provide you all with more info soon! Have them all + their show counterparts below! 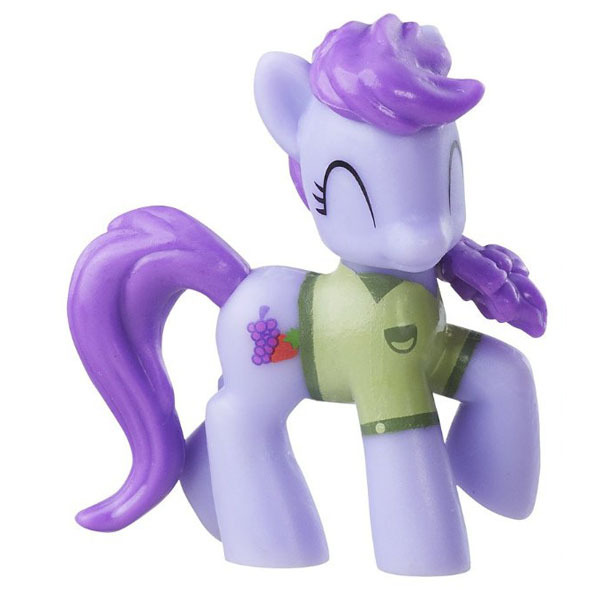 The first images of wave 17 blind bags have been found, and Hasbro has been generous this time: HQ images of all ponies and blind bag cards are included! This way we were able to fill our MLP Blind Bag Database and figure out the codes for this wave! As expected, this wave is a re-release of wave 7, but with a missing characters like the wonderbolts (who get a release anyway) and Barber Groomsby. These have been replaced with Nightmare Night-themed chase figures, as we've seen before on eBay and Taobao. 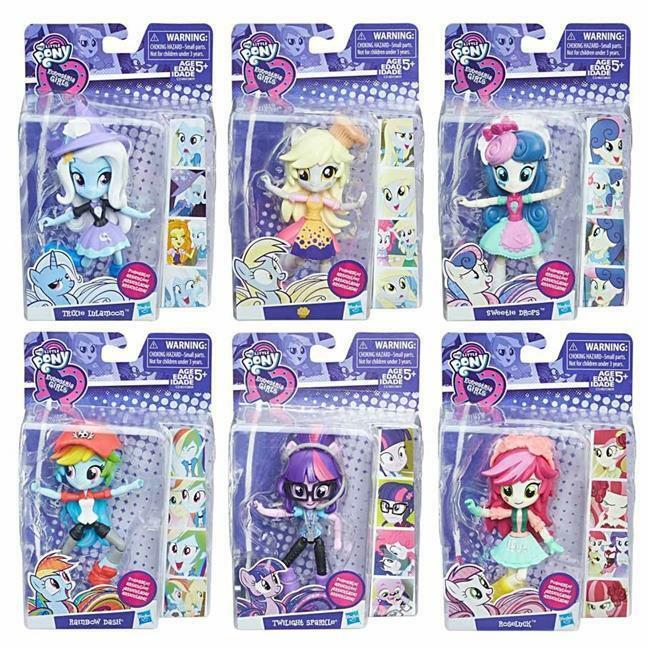 The regular characters are transparent ponies with embedded glitter (like wave 13), and the chase figures have regular material. Finally the official images of the Equestria Girls Legend of Everfree Geo dolls have been released. These were the last dolls from the NY Toy Fair that were still lacking official images, until today.